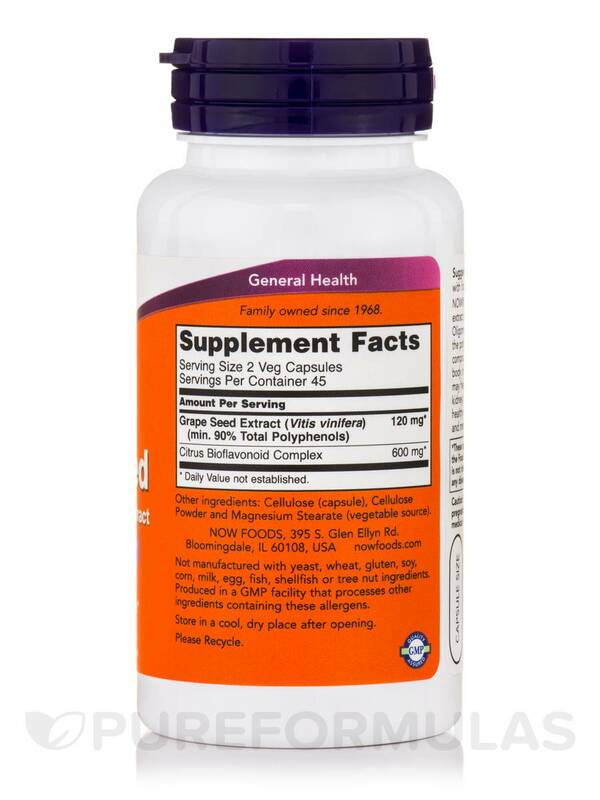 Great for the immune system. 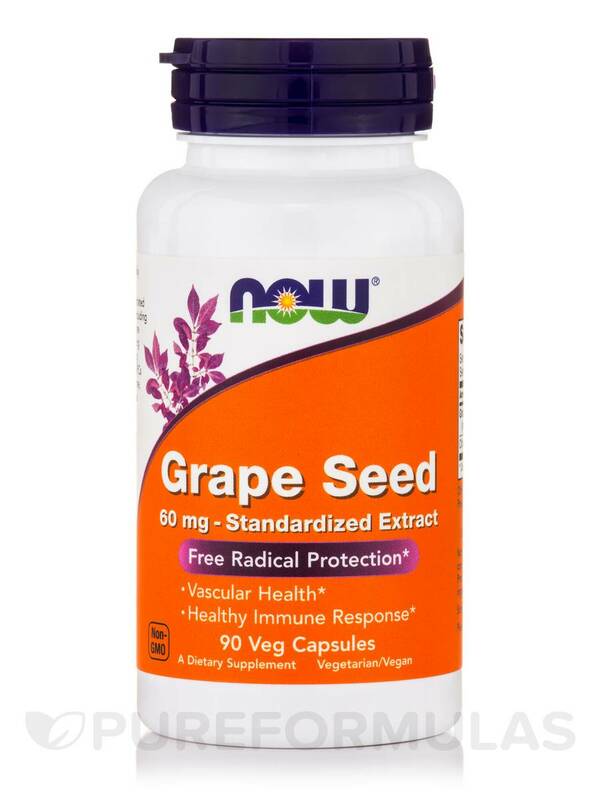 I took Grape Seed 60 mg during a parasite cleanse as I read that grape seed can help get rid of those buggers. Great product. Great for many more things than the above mentioned. 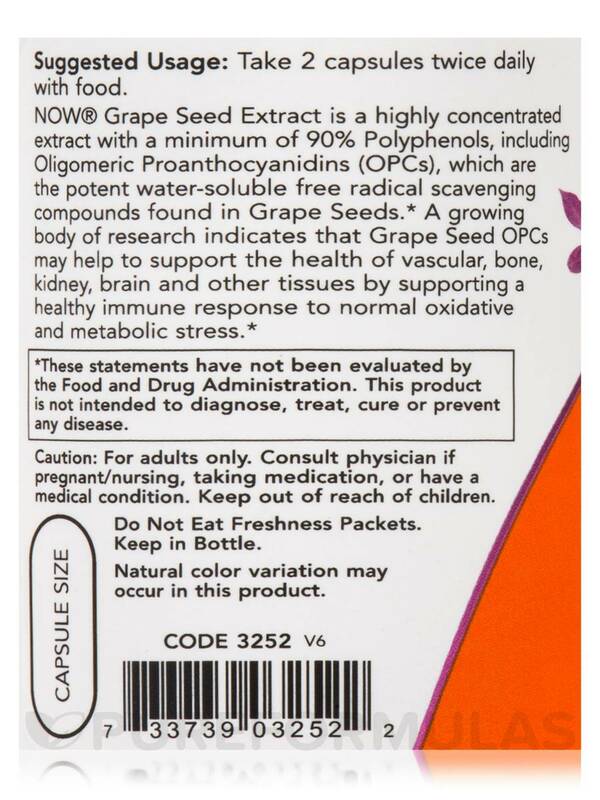 NOW® Grape Seed Extract is a highly concentrated natural extract with a minimum of 90% Polyphenols‚ including Oligomeric Proanthocyanidins (OPCs)‚ which are the potent water-soluble free radical scavenging compounds found in Grape Seeds. 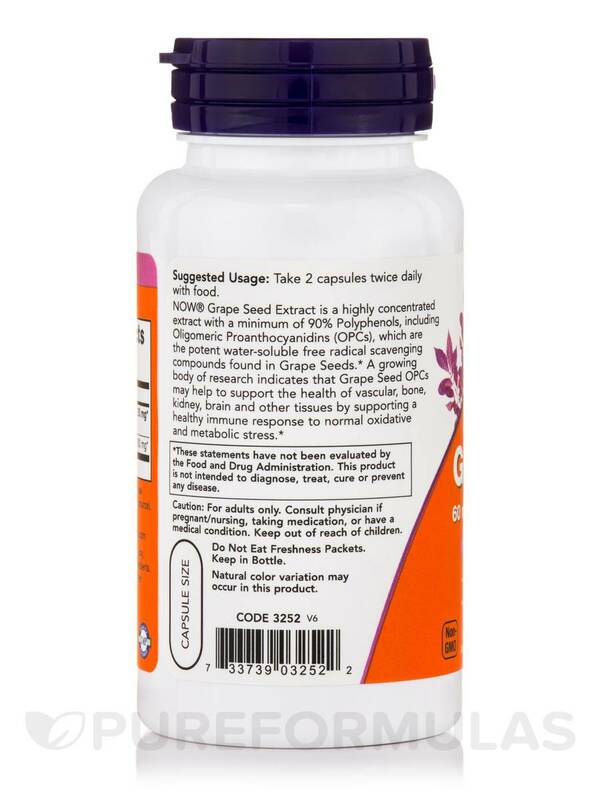 A growing body of research indicates that Grape Seed OPCs may help to support the health of vascular‚ bone‚ kidney‚ brain and other tissues by supporting a robust response to oxidative and metabolic stress. 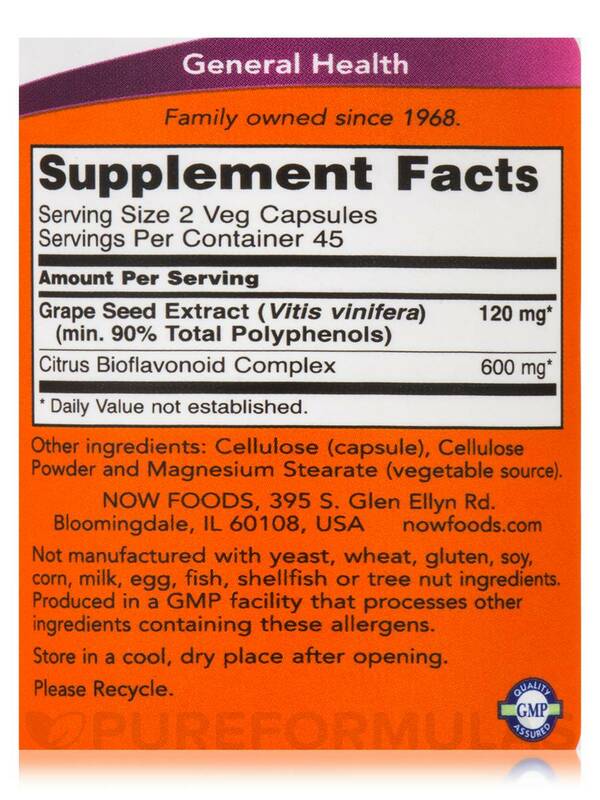 Other Ingredients: Cellulose (capsule)‚ cellulose powder and magnesium stearate (vegetable source).